In a week when I have answered many queries from new post-oppers about expected weight-loss, stalled scales and poor results, this feature dropped into my inbox from Alex Brecher of BariatricPal. It covers this topic and hopefully will soothe many a furrowed brow. WLS does work but you have to work at it and follow the plan. If you’re having doubts … read on …. The weight loss surgery journey is easier for some than for others. That’s true not only mentally, but physically as well. Some patients are confident as they get the surgery, follow their prescribed diets, and lose weight until they approach their goal weights. But most have doubts at some point. Those doubts can be strong especially in the first few weeks after surgery. I can say this with confidence: If you follow the Weight Loss Surgery diet, you’ll lose weight. That’s a common post on BariatricPal. The poster is usually a week or a few weeks post-op, and worries their weight loss isn’t fast enough. They think their “slow” rate of weight loss means Weight Loss Surgery didn’t “work” for them. They think they will never be able to lose significant amounts of weight, since WLS was a last-ditch effort to lose weight and get healthy after years of dieting didn’t work. So why the panic? I like to think of the first few weeks or even months after weight loss surgery as a perfect storm for generating doubts. It’s a time when the following are true. You realize a lifetime commitment to changing your eating habits and lifestyle is a pretty big deal. You have not eaten solid foods for weeks, or even more if you had a liquid diet for long before surgery, and it’s getting you down. You are struggling in your daily life as you try to make time for exercise or you find your family members continue to eat junk food in front of you. All that is enough to get anyone down before you even start thinking about the reason you got the surgery in the first place – to lose weight! If you doubt you’re losing weight “fast enough”, you might start wondering if you made the wrong decision when you got Weight Loss Surgery – and that’s a depressing thought. Almost without fail, the BariatricPal member who posts about disappointing early weight loss is losing weight quite quickly. The only person who is disappointed in this number, typically, is the member him or herself. I’ve seen members post with concerns about losing “only” 20 pounds in the first month, or “only” 10 pounds in the first week. Guess what. That’s great! Think about it. A general round number for great first-year weight loss after Weight Loss Surgery is 100 pounds. That’s an average of 2 pounds a week, or 8 pounds a month. If you lost 20 lbs in your first month, you’re doing fantastic! To hit 100 pounds in your first year, you won’t even lose a pound every three days! So don’t worry if the scale doesn’t plummet every single day. If you’re eating right, you’ll lose weight. Try to keep yourself motivated by keeping it all in perspective. 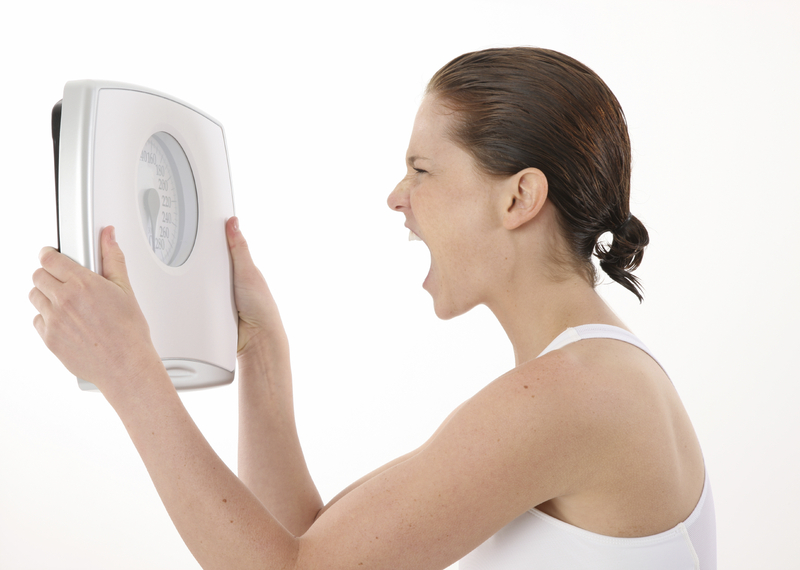 Another motivating thought is to consider how long it took you to gain the extra weight. 5 years? 10 years? Your whole life? And now you have a chance to lose it within 1 or 2 or 5 years? That’s a pretty good bargain, right? Now, I know you’ve prepared for Weight Loss Surgery for a long time, and you’re eager to lose weight. But really, you’re not quite ready to focus on weight loss if you’re still recovering from surgery. It’s far more important to heal properly. That’ll help you lose weight faster later and avoid complications that’ll set you back, not to mention cause possibly serious health problems. So, no matter how frustrated you are, stay positive, and focus on following your surgeon and nutritionist’s instructions to the letter. Continue to eat a liquid diet and then pureed foods without cheating and sneaking in solid foods. Use this time to establish a pattern for your long-term success. Learn to measure your food, and to set aside time for food prep and for exercise. Weight loss surgery is a lifetime adventure, and that realization can really hit hard in the early days and weeks post-op. You can get through this tough period by focusing on one day at a time and not worrying about your rate of weight loss. Measure your success not by the scale number, but by how well you stick to your plan.